I just have a quick share for you all today! This is a card I made months ago when I was on the design team for Pretty Little Studio. I never got a chance to share it here on the blog. 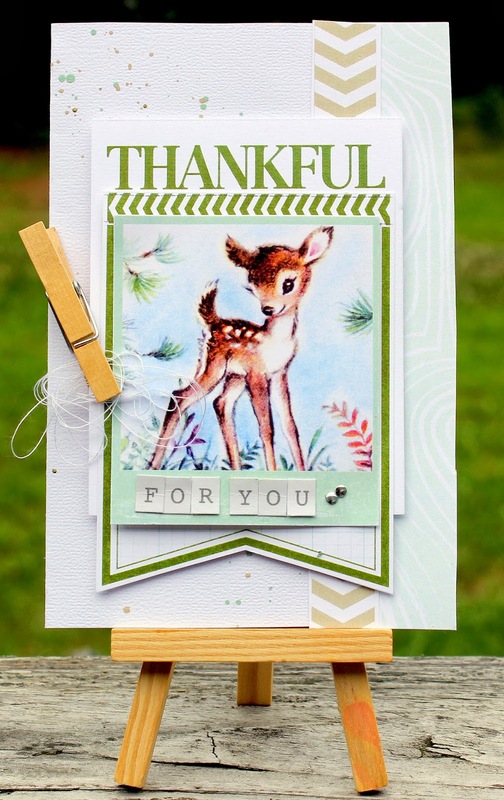 It features the beautiful papers and embellishments from the Nature Walk collection. Thanks for taking a quick peek at my project! Happy Monday! Awww, this is super sweet! What a sweet card, so beautiful! I'm such a sucker for deer images lately, soooo cute! omg what a cute card!